Hello, Everyone! 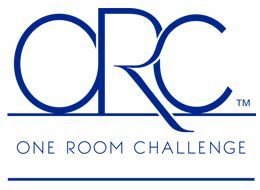 If you are coming from another One Room Challenge participant, Welcome! 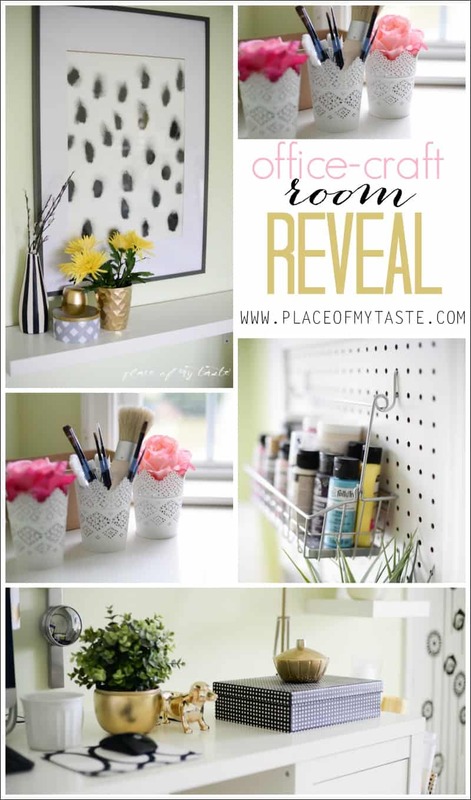 This is my 3rd time to participate in the ONE ROOM CHALLENGE hosted by the sweet Linda over at Calling it home. 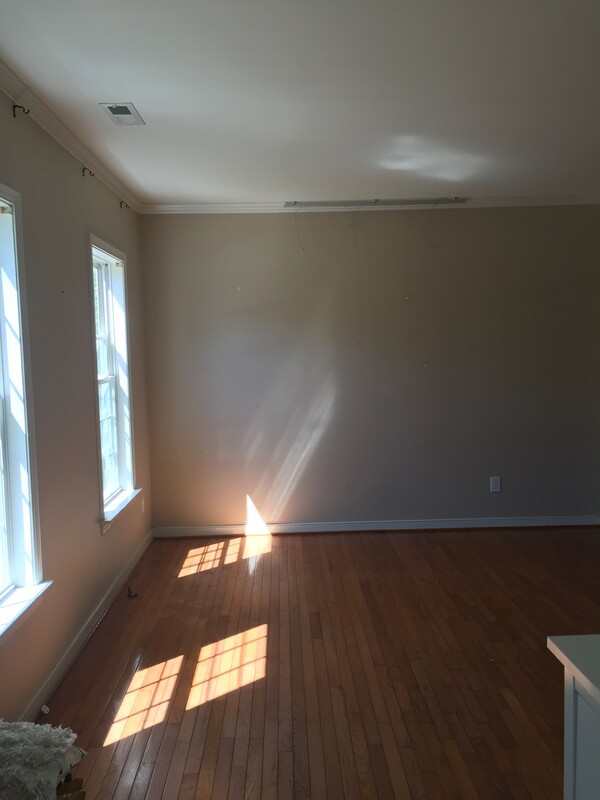 I join hundreds of other creative people who makeover a space in 5 weeks. Isn’t it exciting? This time, I choose one of our rooms downstairs. 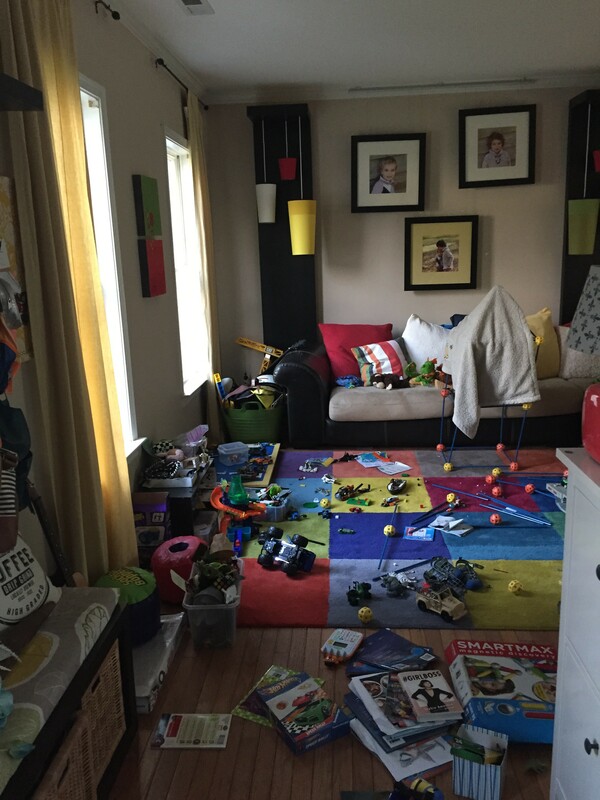 We created a fun playroom when my first child was born and yes, it was great to have a playroom downstairs while my kiddos were little but as they are older now, and they can play by themselves upstairs, it was time pull all the toys up to their rooms. 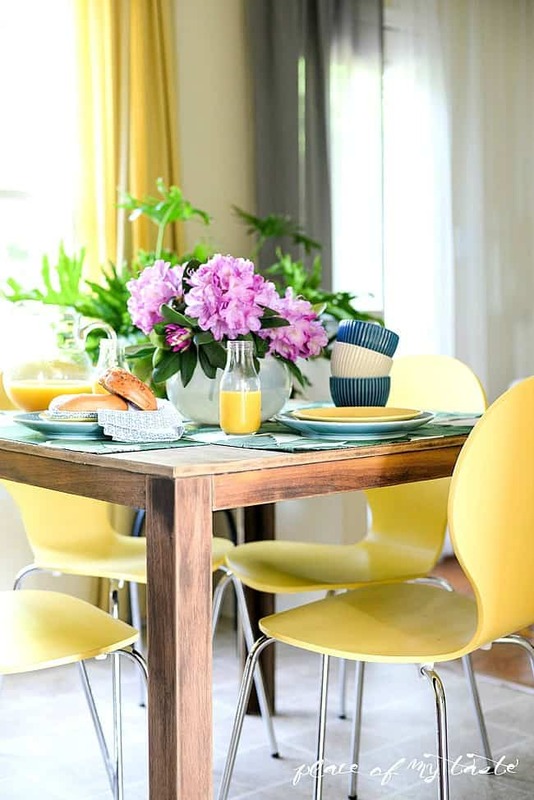 The room that I am working with is not a huge room, but it connects with the dining room and I thought it would be nice to create a comfortable, boho chic family room where we can hang out with the family. Here is how the room looked like before. Fun, bright and colorful. Perfect for kids to wrestle on the plush carpet and play away. Now the image that I am sharing first is an image that was taken when the room was cleaned. 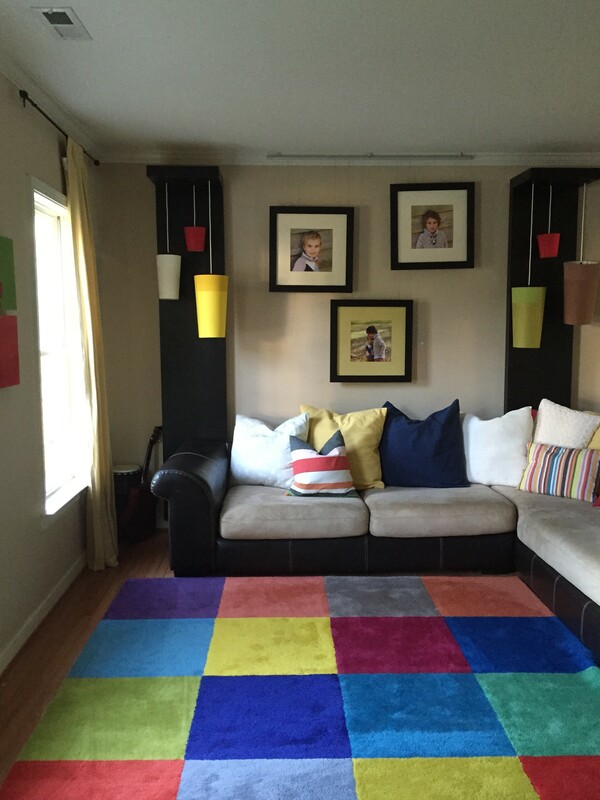 And this is the room when four children ( 2 of mine and 2 friends) got into the room and thorned this space. Sigh. I hope you see my frustration. This room is the first room that you see when you walk into the house. I was always stepping on toys, and I hated to see the mess every time I got home. Of course when we cleaned the room it looked nice but most of the time my children were here to play and it looked like a disaster. I posted all my furniture and rug on craigslist and I was lucky enough to be able to sell literally everything in the room. Every single piece of furniture. Now it is an empty room, and I am crazy excited to create a comfy, cozy, chic living room. I can’t even tell you how fun it is to start with a blank slate?! Yay! Wouldn’t you just want to hang out in these rooms? I sure would! I picked these pieces from around the net as I really loved them. I am crushing on that tan sofa for a long time and I think it’s finally time for me to invest in a great leather sofa. I can’t wait to transform this room in 5 weeks! I hope you are going to follow along! 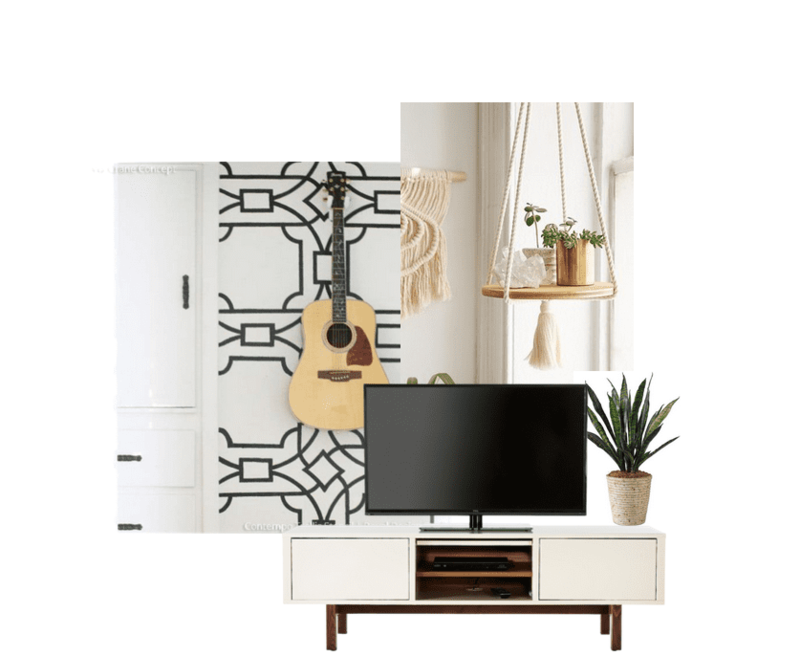 Oh – I am so excited to see how your living room turns out! I’m participating with my craft room/office – and I’m so excited but super nervous. Love the design plan! Looking forward to seeing the transformed space. Thank you Carol! I am so looking forward to sit and have a glass in this room:-) Happy Friday! I just love that you sold everything in the room. Sometimes I want to just start over and that is quite inspiring. Can’t wait to see your new vision come to life. It’s going to be gorgeous! I am glad too as it gave me a little pretty good budget to start with and I wasn’t crazy anymore about those pieces that I purchased 8 years ago -ha. We get so much better with age:-)) Take Care my Friend! Ahhhhhh! We almost bought the same sofa! The Axel! It’s so gorgeous. I just love how we have similar taste. Can’t wait to watch the transformation! I have so enjoyed watching your other ORC’s come together. This one will be no different. 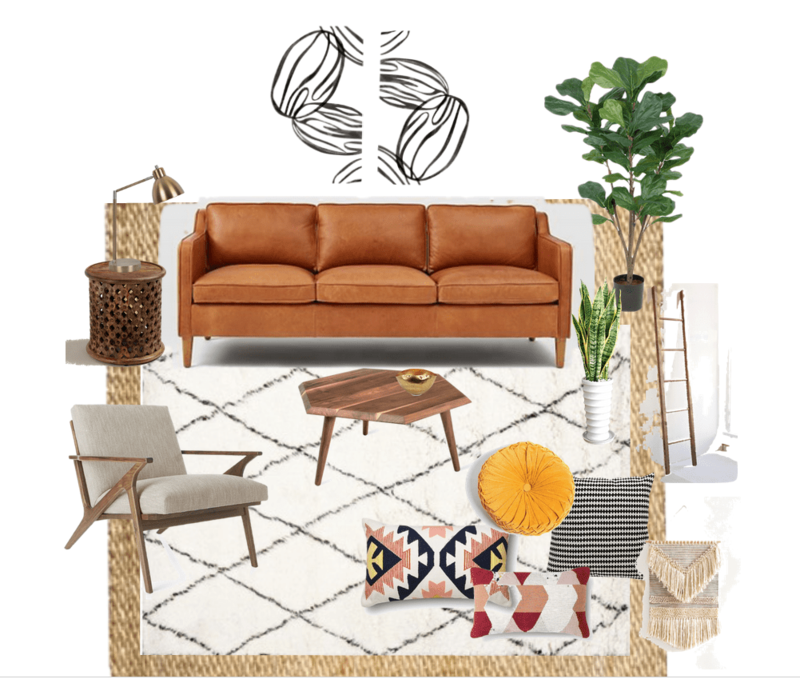 I love your design plan and am completely in love with that couch! I think the stenciled wall will be amazing, too! I love your ideas for this space! Good luck over the next few weeks!